Presented by the Wisconsin Library Association for distinguished achievement in children's literature. Enjoy these multimedia, online resources about the books and authors associated with the Wisconsin Library Association awards, courtesy of TeachingBooks.net. Questions? 800.596.0710. The summer before sixth grade, Lauren (“Ren”) Hall’s parents move him out of the city and into his grandparents’ old country home. Separated from his best friend, who is suddenly running with the popular crowd, and struggling to pick up his dad’s hobby of cross-country running, Ren keenly senses the gulfs growing in his friendship and family. Then he meets his new neighbor, a spunky girl named Sutton, who is training a kit of Birmingham Rolling pigeons for competition and his coming-of-age story begins in earnest. Both deeply emotional and extremely relatable, Roll’s sweet, funny, flawed, but functional characters make this a Bildungsroman that will appeal to all readers who love honest, well-written fiction. Darcy Miller is also the author of Margot and Mateo Save the World. She lives in Prairie du Sac, Wisconsin, with her two children and librarian husband. Their cat, Jeffreys, deserves his own sentence. Their kitten, Stompy, does not. You can visit Darcy online at www.darcyamiller.com. Kata, a fifteen-year-old orphan, has trained many years alongside other young girls to become a “deadly flower” – feudal Japan’s female ninjas. She is the most promising student of Madame Chiyome, but when she embarks on her first mission, a dangerous twist complicates her assignment. Kata is tasked with sneaking into a warlord’s estate and assassinating a young boy, Ichiro. However, she fails to complete the mission, and by doing so throws herself, Ichiro and his older sister, Saiko, into an epic adventure. Kata struggles with knowing who she can trust as the trio fight demons, dark ninjas and samurai in this unique coming-of-age tale. Thomson’s timely, middle-grade novel successfully pairs two girls at either end of the Feudal Japan social spectrum; each using their strengths and knowledge to gain precious control over their lives. Kata’s struggle to balance the inherently solo nature of being a ninja with the need to build friendship and trust with her companions plays out realistically on the page. With fun, sparking dialogue and an action-driven plot, Kata’s story will leave readers ready to practice their ninja and their friendship skills. Published by Boyds Mills Press, 2016. Sarah L. Thomson spent her formative years in Missouri and Wisconsin. She often notes that “sometime around the age of six or seven, I plunged into a book and never really came up for air.” Thomson delved into the epic saga of Middle Earth (Tolkien) and the wonders of Lloyd Alexander’s Prydain, along with classics by Charlotte Bronte and Jane Austen. During her college years, Thomson studied medieval literature and spent her junior year abroad at Oxford. After college, she took a job in New York in the publishing industry, where she would stay for ten years. Thomson worked her way to a senior editor position at HarperCollins Children’s Books. However, after writing her first book, The Dragon’s Son (2001), she stepped away from editing and took up writing full time. This involved leaving New York behind and making her new home in Portland, Maine. Sarah L. Thomson is incredibly active in updating the blog elements of her website, from snapshots into her writing process to updates on author events and news. Deadly Flowers is the first in Thomson’s series of adventures about ninjas in feudal Japan. Keep an eye out for Deadly Wish, the next book in the series. Children's book, Game Changer: John McLendon and the Secret Game, written by John Coy and illustrated by Randy Duburke, published by Carolrhoda Picture Books, an imprint of Lerner Publishing Group, has been awarded the 2016 Elizabeth Burr/Worzalla Award. The Children's Book Award Committee of the Wisconsin Library Association's (WLA) Youth Services Section annually presents the Burr/Worzalla Award to the most distinguised work in literature written and/or illustrated by a Wisconsin book creator. John Coy grew up in Eau Claire, Wisconsin and currently resides in Minnesota. Through riveting and illustrative prose, John Coy chronicles the fascinating true story of the secret basketball game played in Durham, North Carolina in 1944 between the all-white Duke University Medical School team and the all-black team from North Carolina College of Negroes, led by legendary coach John McLendon. Set during a time of segregation, Coy movingly tells of this daring match-up and deftly depics the courage and sportsmanship of players and coaches alike as they confronted a social taboo through a simple game of basketball. This seemingly small but daring step toward integration and equality provides a fascinating glimpse into the future of this beloved game. 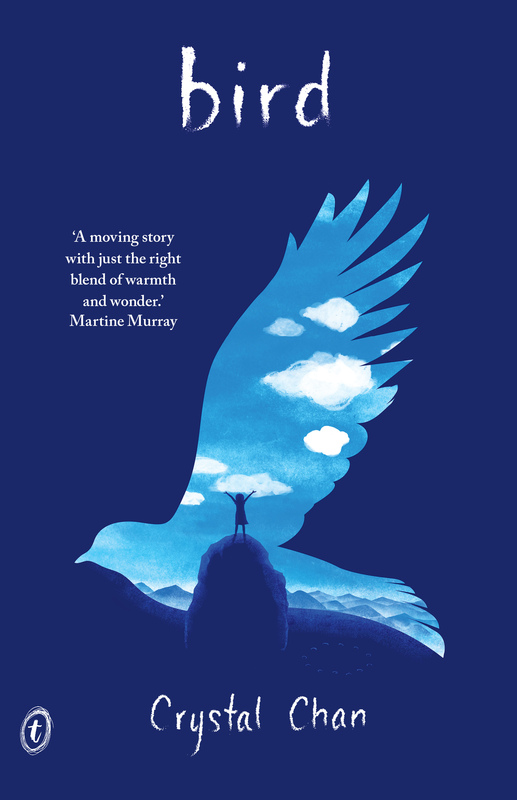 Children’s novel Bird, written by Crystal Chan and published by Atheneum Books for Young Readers, has won the 2015 Elizabeth Burr/Worzalla Award. The Children’s Book Award Committee of the Wisconsin Library Association’s Youth Services Section annually awards the Burr/Worzalla to the most distinguished work in literature written and/or illustrated by a Wisconsin book creator. Entrenched secrets, mysterious spirits and an astonishing friendship weave together in this extraordinary and haunting debut. Nothing matters. Only Bird matters. And he flew away. Jewel never knew her brother, Bird, but all her life she has lived in his shadow. Her parents blame Grandpa for the tragedy of their family’s past; they say that Grandpa attracted a malevolent spirit—a duppy—into their home. Grandpa hasn’t spoken a word since. Now Jewel is twelve, and she lives in a house full of secrets and impenetrable silence. Zayde Comes to Live, a picture book written by Wisconsin native Sheri Sinykin and illustrated by Kristina Swarner, and Close is Fine: Stories, a novel written by Eliot Treichel, who grew up in the Fox River Valley, have won top honors in the Wisconsin Library Association’s (WLA) annual literary awards conveyed on authors or book illustrators with Wisconsin ties. 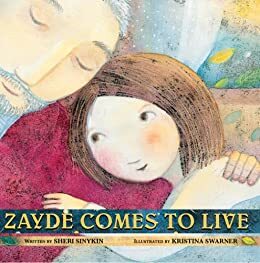 Zayde Comes to Live, published by Peachtree Publishers, was selected for the 2013 Elizabeth Burr/Worzalla Award for best children’s literature. In the book, Rachel, whose beloved grandfather, Zayde, comes to spend his last days with her family, worries what will happen when he dies, especially after her friends tell her the Christian and Muslim beliefs about the afterlife. The Children's Book Award Committee also named Peter and Connie Roop as Notable Wisconsin Authors/Illustrators for their contribution to the world of children's literature. The Young Adult novel, “Bluefish,” written by Wisconsin native Pat Schmatz and published by Candlewick Press, has won the 2012 Elizabeth Burr/Worzalla Award. The Children’s Book Award Committee of the Wisconsin Library Association’s Youth Services Section annually awards the Burr/Worzalla to the most distinguished work in literature for children written and/or illustrated by a Wisconsin book creator. Books to be considered for this award must be published in the calendar year preceding the presentation of the award. The award is given for a single publication, not for the body of an author/illustrator's work. The work must be written or illustrated by a person who was born in Wisconsin, or is currently living in Wisconsin, or who lived in Wisconsin for a significant length of time. The work must be notable and contribute to the world of children's literature. Only original works written or illustrated for children or young adults will be considered. Books that are traditional in origin will be eligible if they are the result of original research and if the retelling or interpretation is that of the author or illustrator. Textbooks will not be considered.